I’ve seen lots of different variations of an apple sandwich. 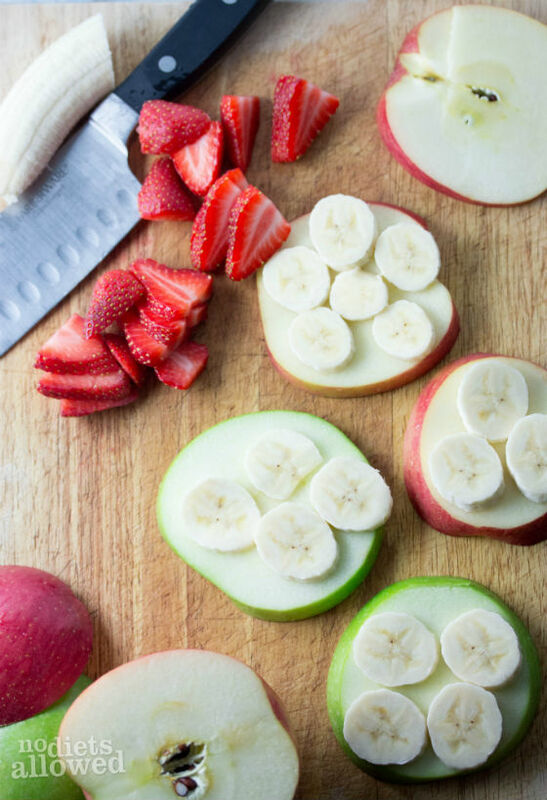 I love keeping it simple with juicy apples, sweet bananas, and flavorful strawberries. I’ve also seen where you can top your apple slices with peanut butter and granola, almond butter and raisins, or you can just try my way. Remember how I’m a fruit-aholic? You begin by washing your apples and fresh strawberries. Seriously… scrub those babies. I know I keep talking about it, but I seriously am in love with Fit: Fruit and Vegetable Wash. Anyways, then thinly slice your apples (I did both organic Fuji and Granny Smith). To prevent them from browning, lightly coat slices with lemon or lime juice (makes it a little tart) or pineapple juice (a sweeter option). 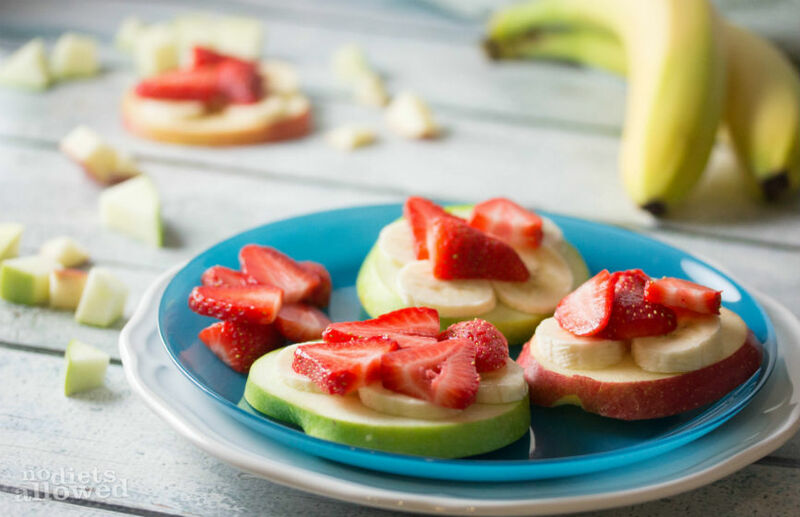 You can use the same method for your banana slices. 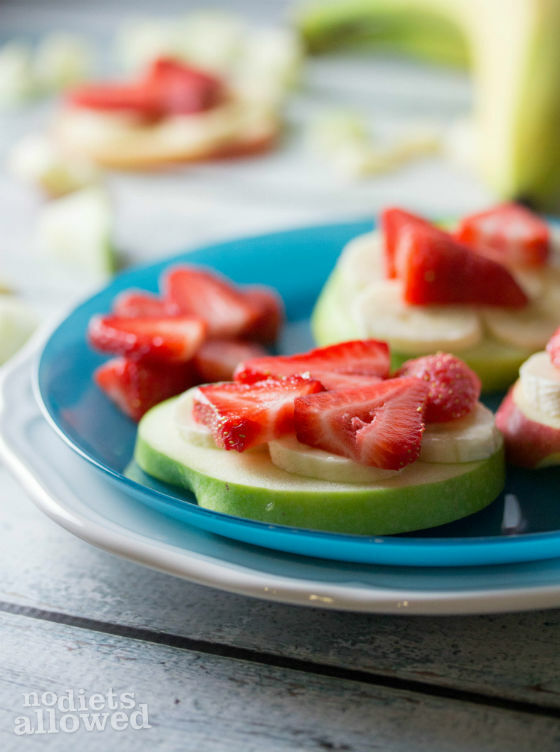 Top your apple slices with banana and strawberry slices. Viola! Definitely full of complimentary flavors and super easy. 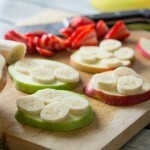 Once fruit is washed and sliced, layer beginning with apple slice, banana slices, and topped with strawberry slices. To prevent them from browning, lightly coat slices with lemon or lime juice (makes them a little tart) or pineapple juice (a sweeter option). These “sandwiches” certainly look like a fun kids snack! All sorts of ways to switch it up too. 🙂 Stop on by and share this recipe with us on Five Friday Finds!